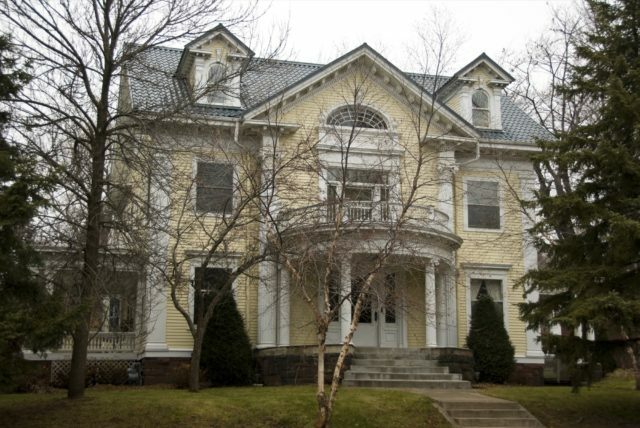 This grand Georgian Revival house—replete with classical ornamentation, columns, pilasters, and a porte cochere to shelter guests from unpleasant weather—has been nicknamed the “wedding cake house.” Brewer was a partner in the Duncan-Brewer Lumber Company and president of Great Northern Power Company. The house played host to the Duluth Conservatory of Music from 1926 to 1952. Architects Palmer, Hall, and Hunt also designed the University of Minnesota Duluth’s “Old Main,” destroyed by fire in 1993.